At Pauley’s Pups, we specialize in connecting small breed dogs with loving, caring, lifelong human companions. After we help you find your new friend, you’ll have many choices to make that affect her future health and behavior. One such choice is whether to spay your puppy, a common practice with many scientifically recognized benefits. The most obvious consequence of spaying your puppy is that she won’t surprise you with a litter of little guys. It can be hard to manage and care for a batch of new puppies, and most people don’t have the time for it. It can be even harder to find a corresponding batch of responsible humans to take in the dogs when they’re ready to leave their mother. In addition, pregnancy can be very stressful on dogs, potentially leading to mental and physical problems throughout their life. 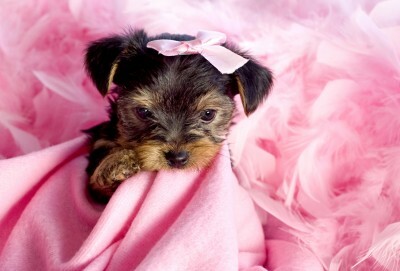 Of course, an un-spayed puppy will eventually try to breed with another dog, usually starting 6 to 12 months after birth. A female dog “in heat” experiences hormonal changes just like other animals, usually twice per year. She might sporadically urinate, sometimes in places less appropriate than others, to attract male companions through scent. You might catch her attempting to pull off an escape, desperate for a partner. Dogs in heat also have the tendency to become more irritable, and sometimes even violent. Spaying your dog can help to alleviate or eliminate these negative behaviors. If you wait too long, however, your puppy may develop harmful habits that are difficult to reverse. If this is the case, spaying an older dog can still have a multitude of positive side effects. It will eliminate the formation of tumors in the ovaries or uterus, and substantially reduce the risk of bacterial infection as well as some cancers. While positive effects are abundant, there are a few negative ones that you should be aware of. Talk to us at Pauley’s Pups about the best course of care to ensure a long, healthy life for the newest member of your family.